These words of Jesus are ones we often glance over in the Western American church and chalk up to metaphor or hyperbole. When Jesus said to “deny yourself” we assume it means something like, “be willing to sacrifice some things here and there along the way.” We read “take up your cross” and imagine something like wearing a cross shaped necklace to remind us of Jesus everyday. But, when taken out of its context, both literary and historical, we completely miss the point of Jesus’ words. And when we miss the point of Jesus’ words here in Mark 8, we miss the whole point of Christian discipleship, and what it means to follow Christ. Rebuking Peter just moments before (Mark 8:31-33), Jesus was trying to show his disciples (both the Twelve, and us) that following Christ means much more than sacrificing TV or video games. Following Jesus means more than just thinking about him everyday (though that’s not a bad place to start). Following Jesus comes at a far greater cost – one that requires discomfort, sacrifice, suffering, and yes, even death. This past Sunday, I preached on these verses for our vision series to kick of 2014, in a sermon entitled, “Real Life – Living by Dying.” And the more I reflect on these verses, the more convicted I’ve become that if I am truly following Jesus, my life will show it. Not just by talking like a Christian, reading Christian books, or listening to Christian music. But by my life choices, my daily decisions, my checkbook, my relationships, my hopes and dreams for the future, my career path, my idea of success, my idea of failure, my core values, my passions and excitement, my whole lifestyle. As a result, I’ve been praying and asking that God would continue to add to my joy in Christ and keep my heart devoted to him. I’ve been fighting for daily times in the Word and prayer, guarding those times with God like I guard date nights over Skype with my fiancee. And I’ve been turning to the shepherding and guidance of other pastors through books. I’ve already posted my top reads from 2013, but as 2014 is underway, there are a number of books I look forward to reading to guide me in my pursuit of Christ with all my life. As a result, I’m going to try to make it a point to suggest at least one or two books each week after I preach for further study and growth. This week, those two books are Radical, by David Platt, and The Gospel According to Jesus, by John MacArthur. 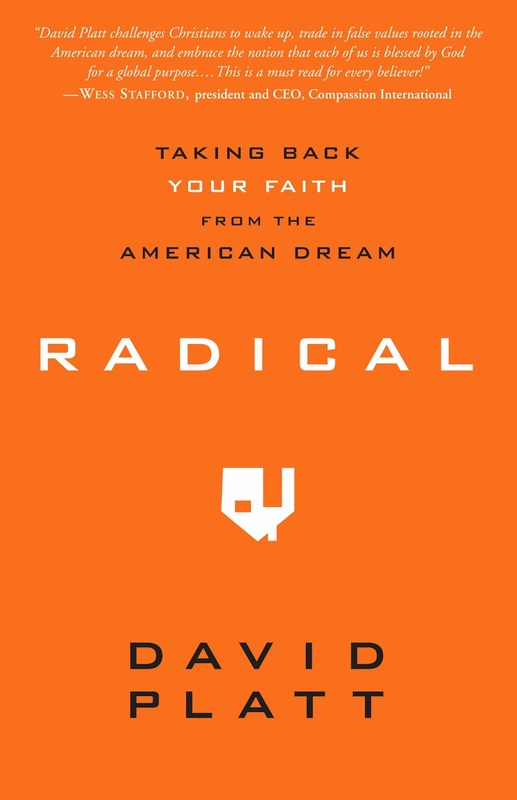 In Radical, Platt uses the “hard sayings” of Jesus to challenge our American view of Christianity, and to Biblically discern what it truly means to follow Christ. Though I am not done with Platt’s book, I appreciate how he sharply challenges the “American Christian dream,” while not making me feel like I have to be or live just like him to truly follow Jesus. Keeping the focus on the believer’s desire to love and live for Christ, Platt avoids falling into the legalistic, “holier than thou,” or Christian bashing tone many of these kind of books fall into. Radical – and all of Platt’s ministry, for that matter – reminds the believer to radically love Christ, and in turn be radically committed to living for the sake of the Gospel. 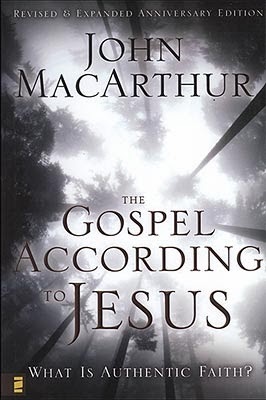 The Gospel According to Jesus is a little more “oldschool” in that MacArthur’s fundamental tone comes out in his writing, as it often does in his preaching. And though I tend to disassociate myself with MacArthur (especially in his recent years, due to certain things he’s said and ways he’s distanced himself from other “tribes” in Christianity), I’ve still benefitted greatly from his ministry. This book is one example of that. I read this book while I was serving amongst the unreached Muslim groups in East Asia for 6 months in 2007, and MacArthur reminded me how important it was to proclaim a Gospel that is not safe, but one that is true – and can truly save. In a time of Christianity when the Gospel message has been largely reduced to “Jesus loves you,” The Gospel According to Jesus is convicting and refreshing, and will remind you of the sweet news of the Gospel that once called you not just to come and be loved, but to come and die. If being obedient to Mark 8:34 is something you desire, and you need more guidance in the “how-to’s”, I recommend reading these books with me. After I finish Radical, I intend to go through The Gospel According to Jesus again. And while these books are not the secret key to unlock a Christ-centered life, “Radical” faith, or bold evangelism, they are intended to help renew our passion for Christ and the Gospel. In a world where Satan is daily seeking to strip us of our joy in and love for Christ (1 Peter 5:8-9), I am grateful for men who have “resisted” and experienced life before us, and who – through books – now encourage and exhort us to continue to fight the good fight of faith.